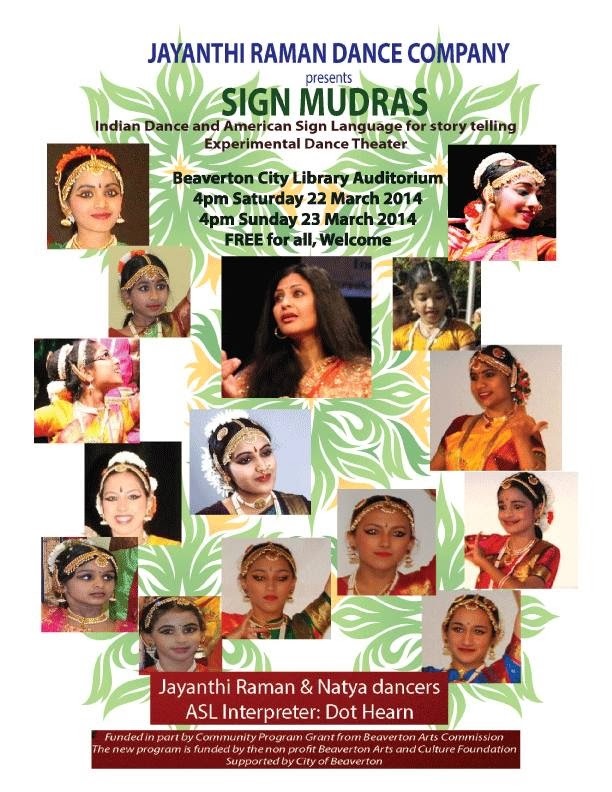 Sign Mudras: Experimental Dance Theater of Indian classical dance and American Sign Language. With special guest: Dot Hearn, ASL Interpreter. Funded in part by Community Program Grant from Beaverton Arts Commission. The new program is funded by the non profit Beaverton Arts and Culture Foundation.